ACCORDING TO this eyewitness, a driver hit a parked car yesterday, July 11, on Valleybrink Road in a heavily residential area of central Atwater Village. See the full-size photo here. Los Angeles Fire Department arrived on the scene, but the witness says the injured driver took off, and no one else was hurt. Still, looks like a mess. New Pedestrian Bridge Over Untroubled Waters? Residents from Glendale, Burbank and Atwater Village — especially local equestrians and bicyclists — have also expressed support for the proposed bridge. 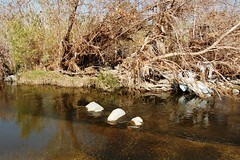 The bridge is planned as a future third phase of the Glendale Narrows Riverwalk along the Los Angeles River. (With any luck, it'll connect the industrial east bank with the well-tread bike path across the river.) 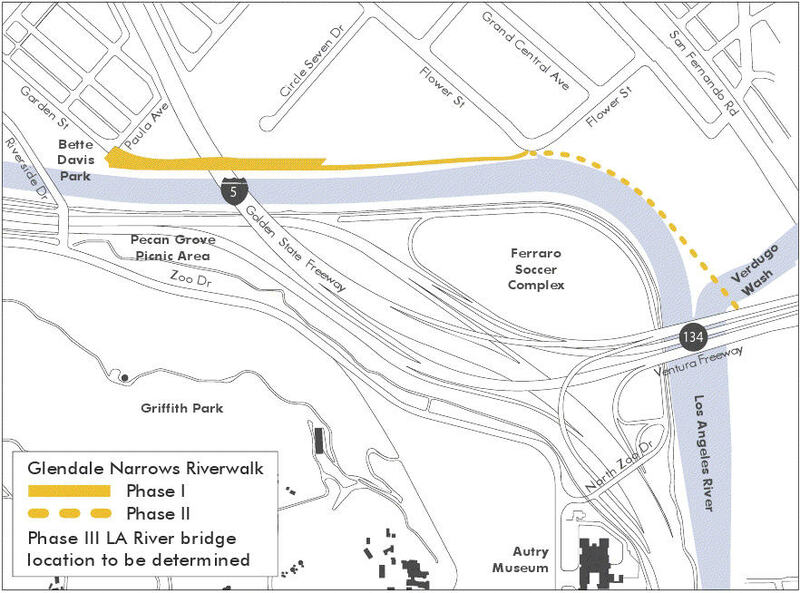 The riverwalk's first phase breaks ground this summer, upstream from Atwater Village, just past Flower Street, behind ABC-7 and Dreamworks studios. Download Glendale's 33-page riverwalk presentation, with photos and detailed plans. New studio in Atwater Village, it's called Brazilian Yoga and Pilates, 3191 Casitas Ave.
July 1 - Overload from Electric Daisy Carnival - Coliseum officials suspend raves after teen girl's death. July 5 - Electric Daisy Carnival: drug-infested all-nighter - All law enforcement officers know that the whole idea behind raves is to take Ecstasy. Whoever approved the use of the Los Angeles Memorial Coliseum for this event should be held civilly responsible. Friends and family have organized a funeral fundraiser on Facebook and a fundraising dinner Saturday, July 10, 5:00pm.